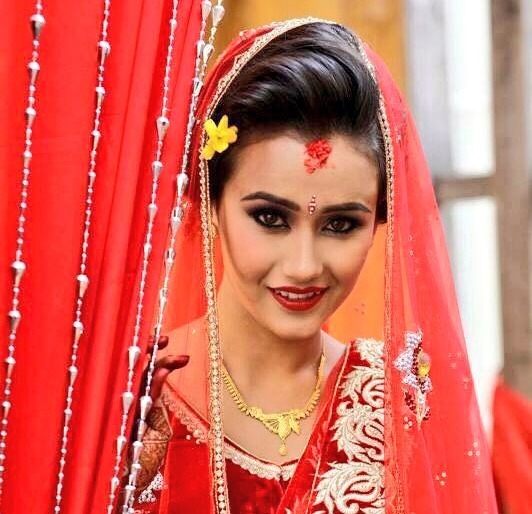 Actress Swastima Khadka has married ‘Loot’ director Nischal Basnet in a ceremony held on February 17, 2016. The Marriage ceremony was held among their families and friends. The reception party of the wedding was held in the evening. The engagement between Swastima Khadka and Nischal Basnet was held on December 14, 2015. An intermediate in architecture, Swastima is also featured in an unreleased movie titled ‘Madhuro Ratma’. Read the biography of Swastima Khadka. NepaliActress team congratulates Swastima and Nischal for the marriage and wish them a very happy married life. This entry was posted in Actress issues, News and tagged marriage, Swastima Khadka. Bookmark the permalink.